This past Saturday Maria and I decided to switch up our tradition of Saturday Morning Cupcakes for some Saturday Morning Macarons. This was mainly because I wanted to try a new place in Saskatoon that sells macarons. I know this has been a "thing" for awhile, but Saskatoon (well, even Saskatchewan in general) takes a pretty long time to catch on. So, this opening was a big deal to me. 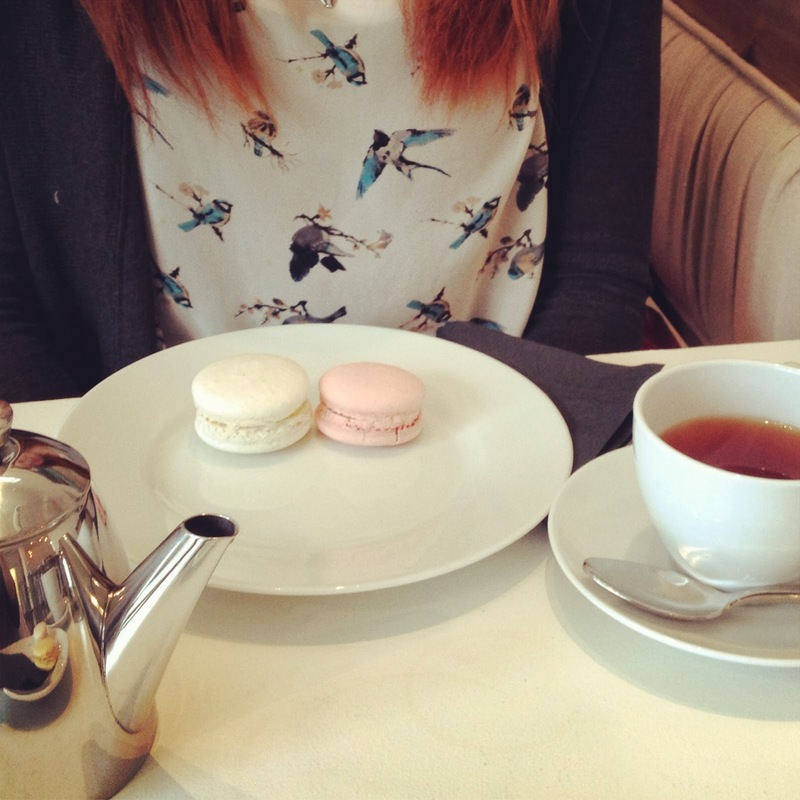 We chose a couple macarons each (vanilla and strawberry for me, vanilla and lemon for Maria) and a pot of tea each and sat down to enjoy the morning together. As usual, we covered a wide range of topics and emotions and had some really insightful (at least to us) moments. These Saturday morning dates, I tell you, they're the absolute best. What are some cute ways you like to spend time with friends? Do you have any traditions? Have you tried any new places lately? Please share! I love macaroons- those look so delicious!